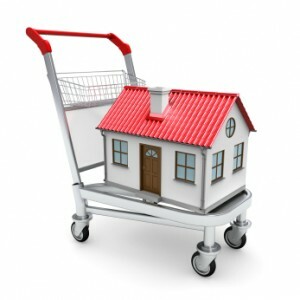 If you want a quick house sale you have to have an edge in the Housing Market. ‘How do I make my house attractive to buyers?’ – you ask, well you give them a touch of luxury. Our televisions have been flooded with aspirational makeover, self build, and property renovation shows which aim to make the most of our living spaces. We are also constantly bombarded with images of celebrity homes in luxury magazines, all of which make us aspire to a designer lifestyle. A recent survey conducted for Polypipe Home Solutions has shown that house hunters want this touch of luxury, having designer features in a house persuades them to buy, and more importantly they are prepared to pay extra for it. Being energy efficient was the main reason house hunters gave for paying a premium price. The survey revealed that some house buyers are prepared to pay around £12,500 more for a house which had the features they wanted, which included a conservatory, underfloor heating and double garage. Other desirable property features listed by those surveyed included, walk-in wardrobes, hot tub, air conditioning and even a set of stables. Now while most of us couldn’t build a stable block for the next owners of our home, it is a relatively easy thing to build a partition wall for a walk in wardrobe, and you can then get help with fitting sliding doors to finish off your project. DIY Doctor has more help and advice on selling your house and choosing an agent in our guide to choosing an Estate Agent to sell your home, which also explains how to get the best out of your estate agent once you have appointed them. If you are going to be buying a house for the first time then you could check out our first time buyers guide. How to Install a Wooden Door?